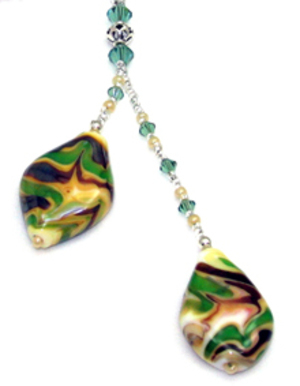 The two lampworked beads in this set are a combination of two high silver content glasses over a base of white. The molten glass was manipulated with a pick and shaping paddle to create the patterns. 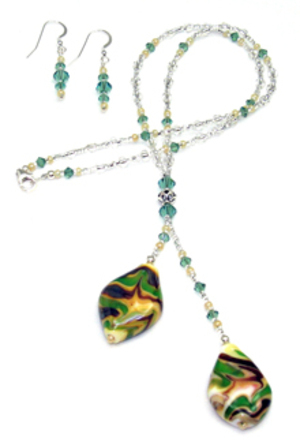 The handmade beads are complemented with silver lined clear seed beads, and Swarovski crystals. The clasp and earrings are sterling silver.